On this episode of Dugout Blues, Jared and I are back to talk about the Dodgers being in the same place they were just a week ago at this time: A half-game out of first place. The Dodgers lost 2-of-3 games to the mighty Cincinnati Reds. They salvaged one game from the 7-game season series and were staring a 4-gamer in St. Louis in the face. They entered that series two games behind the Cardinals for the second wild card spot and 1 1/2 games out of first place in the NL West. 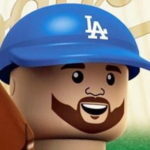 To our surprise, the Dodgers took the first three games of the series, thanks in large part to Manny Machado, Walker Buehler and Yasiel Puig, who had the “best weekend of my life.” The Dodgers lost the final game of the series to drop back into a tie for the second wild card spot and a half-game out in the NL West. The Dodgers now face the Rockies for the latest Biggest Series Of The Season, on the heels of that just a couple weeks ago. They appear to have the pitching advantage in two of the three games, but baseball never goes the way you expect. If they get swept, they’d be 3 1/2 games out with nine games to play. That would be … less than ideal. Even losing 2-of-3 would be much better for their odds in the division race. Jon Gray and Hyun-Jin Ryu tonight, Kyle Freeland and Clayton Kershaw tomorrow, Tyler Anderson and Walker Buehler on Wednesday — these six pitchers could very well decide the winner of the NL West. Let’s get crazy. Alex Wood was moved to the bullpen. He’s been solid this season, but he was the odd man out with Buehler stepping up and Ross Stripling returning to the rotation. Here’s hoping Wood fares better out of the ‘pen than Kenta Maeda has thus far (4.63 ERA). On the farm, the Dodgers’ Double-A and High-A affiliates won their respective league championships. The Drillers got strong performances from the likes of Gavin Lux, Dustin May, Keibert Ruiz and a human being named Cael Brockmeyer. The Quakes got solid performances from Ian Anderson, Donovan Casey, Cristian Santana (series MVP) and a human being named Nick Yarnall. Thus ends the Dodgers’ minor-league season. Up next is the Instructional League and Arizona Fall League. Fun! We close with a quick Q&A. Please keep the questions coming.